A black hole is an invisible mass with a gravity pull so strong that light cannot escape. Black holes are stars that have burned out or compressed. The pull is strong due to the compactness of the mass. Black holes vary from one atom in size to the size of more than 4 million of the Earth's Sun. Purchase two foam board sheets or black signboards 11 inches by 17 inches, one strong cylindrical magnet, a magnetic marble and a tray or towel. Cut four to six holes in the board the same size as the cylindrical magnet. Place the magnet in one of the holes and place a piece of tape over the hole to secure it. Cover the foam board with the second piece of board so that the surface appears uniform. Place the tray or towel underneath the board to contain the marble. A black hole’s gravity is dependent on the mass and distance from the object. Black holes have strong gravitational fields; however, objects must be within hundreds of miles to be affected. The magnetic marble represents a piece of space matter which will orbit the black hole if it gets too close. Roll the marble over the foam board. 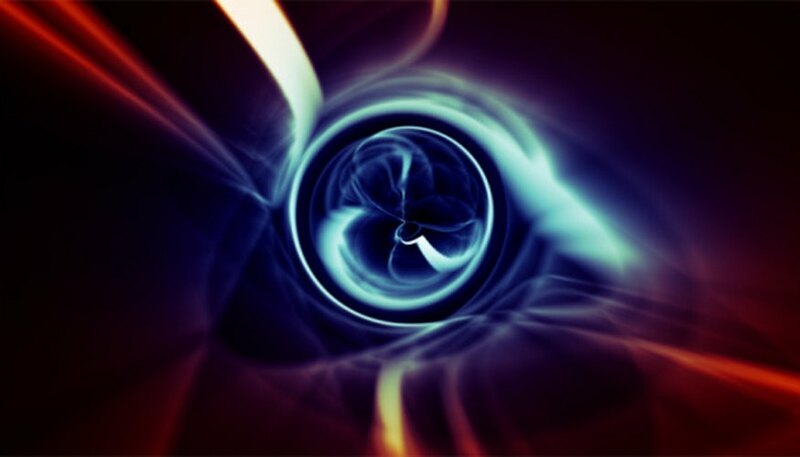 When it approaches the hidden magnet or black hole, its path will change. The magnet represents the pull of gravity, but note gravity is a much weaker force than magnetic pull, and only becomes discernible with planet-sized or larger objects. Depending on how close the marble comes to the hidden magnet, you will notice different outcomes. Stars constantly battle the effects of fusion, pressure and gravity. Large amounts of mass enable a star to collapse a body into a point. Gravity will eventually overwhelm the star and the end state of a star’s collapse is determined by the original mass of the star. This experiment explores the end state for a star. Gather several balloons, three, 12-inch to 14-inch sheets of aluminum foil per balloon, a sharp object, and earplugs or ear muffs. Blow up the balloons and tie off the ends. Cover the balloons with at least two layers of aluminum foil. These balloons represent stars. Push on the surface of the covered balloons with your hands. The stars will not collapse because the outward force generated by fusion within the star balances the gravity inward. When a star runs out of core fuel, it may collapse. Put on ear protection and pop the balloons to remove the air pressure inside. Ensure the foil retains its shape. The star has run out of fuel in its core, and fusion no longer generates enough heat and pressure to prevent collapse. Collapse the balloon star with your hands. The "gravity pull" represented by your hands collapses the star and creates a black hole. Hubblesite: Black Holes: What is a Black Hole? Ritter, Carolyn. "Black Hole Experiments for Kids." 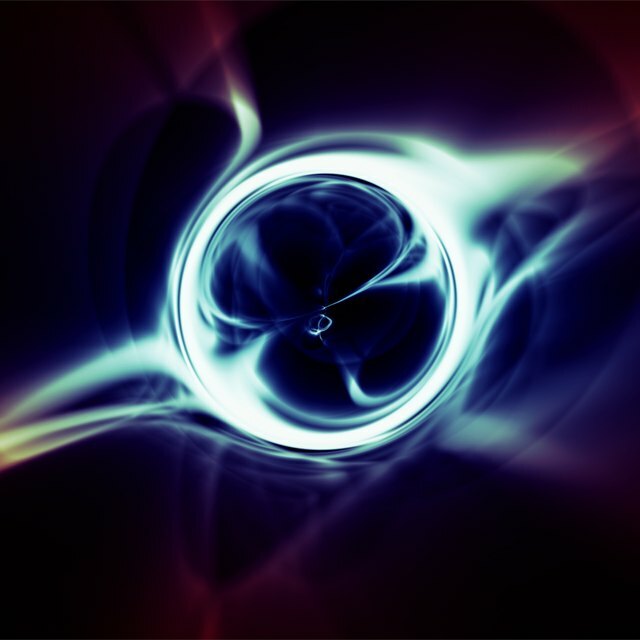 Sciencing, https://sciencing.com/black-hole-experiments-kids-8570050.html. 25 April 2017.